Ensure proper payments to staff and accurate billing to clients with Acumatica time and expense tracking software. Simplify the time and expense entry process with mobile entry and approvals from any device with a browser or the native mobile app – anytime, anywhere. Time and expense management helps businesses monitor labor and material costs by providing tools for employees to track their hours and expenses, automated processes for managers to approve reimbursement requests, and reports to track and control labor costs. Acumatica Time and Expense software helps you automate time tracking and management and engage a robust approval process for accuracy and control. Time and Expense Management integrates tightly with Projects, Accounts Payable software, and with Accounts Receivable software for proper billing. Bill labor and materials according to customer, type of work being performed, or specific contract. Link timesheets to specific projects and budgets. Acumatica ERP supports labor accounting through the predefined assignment of labor hours to specific projects and tasks within projects. Associate time to a project task with a specified approver and then create a workflow to coordinate the approval process for release to billing. Approved activities are posted to specific customers, cases, contracts, or projects and generate corresponding project transactions or customer invoices. Think Staying on Legacy ERP Is Your Cheapest Option? Think again. 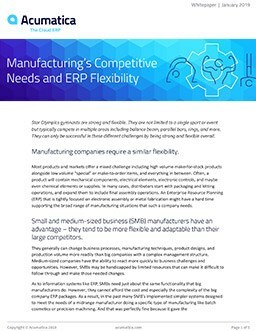 Your legacy ERP could be costing you thousands in lost productivity and maintenance expenses.